Good bag. 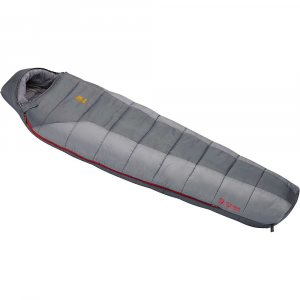 My first serious sleeping bag, after a long time. I used it during November's trip to King's Canyon in California and local areas. The temperatures were -5, -10 and the bag was warm and cozy. I am not sure why the first two reviews were so bad. Maybe some people just get cold in no matter what bag. The bag is a little bulky, but the warm-pack ration is really good. I never experienced a cold spot, or anything like that. Very cozy. I love it. My next buy will be a Dark Star. Right now I am in Canada, and I will test that bag in -20,-30 temperatures pretty soon. The winter is coming! I was excited about being cozy in this and use it for winter camping in Vermont. FORGET IT!!! Stayed out in a cabin on the Long Trail over the weekend (fall, not winter) where it was about 15 degrees. Started with dry long underwear and quickly got cold. By morning I was wearing about four layers top and bottom inside the bag and was barely warm. I'm returning it today. I'm really glad my life didn't depend on this thing. This bag (rated at -20 F) is totally useless. Even at +10 F you need clothes to stay warm. I have only used this bag one time, since I usually don't do much camping when the temperature dips below 0 degrees. I use my TNF Superlight for most of my fall and winter trips. I was very impressed with the Tundra when I used it in Montana's Crazy Mountains in November. It is a very warm bag and seems to be rated about right for me. I slept in a tent with this bag when the outside temperature was about 5 degrees F and stayed plenty warm sleeping in boxers. For such a cold weather bag, it stuffs down to a manageable size, too. Like my Superlight, this was a great purchase for the price I paid. Otherwise I doubt I would have bought it simply for the fact that I won't have to use it very often. 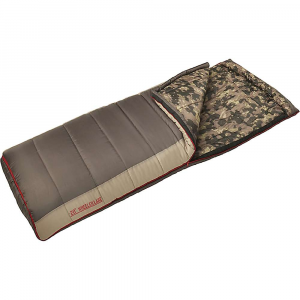 I am glad that I have it and would recommend it to someone who does cold weather camping, expeditions, etc., even at retail price. Used this bag for a mountaineering trip in the White Mountains, NH. It was early March and the night-time temps were in the minus 10 to 20 range. Weather conditions on the mountain were very bad and I was forced to spend lots of time in the bag. I will admit to wearing plastic boot liners, fleece (300 weight) pants and jacket one nite and even adding a down jacket on the second nite, but I was never uncomfortably cold. Don't get me wrong.......it was COLD outside the bag. I would wake to a pile of snow from breath vapor all around the opening of the bag. I have heard stories of TNF synthetic bag failures including serious loss of loft, but I can't complain about mine. I'll be going back to the Whites soon and have no reason to worry about being cold in this bag. By the way I'm told the Delta bags are somewhat lighter than the original 3D's. Also had no problem with bulk. A compression sack snugged it up to no more the size of a basketball. A great versitile bag. Good for cold, cold, cold weather and you will not sweat in temps even as high as 50 degrees F. Classic North Face quality. Someone stole mine while I was traveling thru Sokane WA, hopefully it was a homeless person, at least they'll stay warm this winter!! If it was a "homeboy" who thinks Spokane is some sort of Compton, WAKE UP and get a life. But all in all, great for the price! Great bag. I have had mine for over 3 years now and it still works beautifully. I read a few other reviews about the Dark Star being too cold at 15 degrees; they obviously mislabeled their review because I almost bought the Dark Star since it was the only TNF bag that was warmer than this one. Thank God I did not. This bag is too hot for most of my winter camping. The few times I have gotten it into its rated range it has been ideal. Once in the High Uintas in January where my watch said the temp dipped at least to its max lower end of the thermometer (-10 F) and this bag never had a cold spot or draft. This bag, while not to roomiest shoulder cut, turned out to be flexible enough for me to sit in while I thawed the zipper on the front door of my tent after waking up frozen in. The loft in the bag is still near factory condition, but it wasn't easy keeping it that way. Basically you had best hang this bag uncompressed when not used if you want the insulation to retain its loft. I am very happy with this bag and it has served me well. This bag has now been updated to use the new Polarguard Delta insulation that is basically the same thing only the filament is larger in diameter lending to more “dead air” in the bag which results in a better insulating bag. I can’t see how you can go wrong with the latest revision of the Tundra. Were I to buy another artificial insulation bag, I would have a hard time not buying anything but a North Face bag. Fortunately my next bag will be a Marmot down bag (since TNF just want too much for their down) to replace my ailing summer bag that just doesn't fit me anymore. I purchased this bag for $189 on sale. I have a Cat's Meow and like the fit of North Face bags so I thought this bad would be a good choice for cold weather. I find the bag is very toasty down below zero. The draft collar and draft tube work well and keep out the chilly air. Very easy to adjus the collar and the hood is lined with Gore Dryloft and it's quite toasty. It's a solid bag that is quite warm down to it's -20 rating. I've gotten into some water and the Firestorm shell holds up well to moisture. Easy to use zipper and closures as well. The only downside is this is a big bag. On Mt. Rainier it barely fit into my pack even inside a Granite Gear stuff sack. The lining is a silky Pertex Silken liner and the footbox is wide. I like the bag but will probably go with down next time if I get a cold weather bag to replace this based on the size alone. I have never been cold in the bag. It compress great for a bag so warm, and still stays very warm when wet. It is a bit heavy, but the warmth is worth it if you really need it. 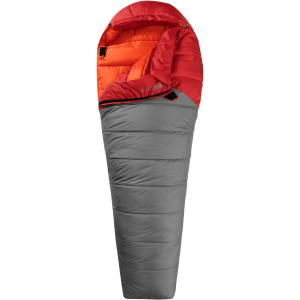 I think TNF makes very good sleeping bags. The Tundra 3D has been discontinued. The North Face Tundra 3D is not available from the stores we monitor.